Panelists from left, Dr. Jason Johnson of The Root, Carlton Houston of WUSA, Panama Jackson of VSB, Karen Carter Richards of Houston Forward Times, Shuanise Washington of CBCF, NABJ President Sarah Glover, Francesca Chambers of DailyMail.com, Armstrong Williams of Howard Stirk Holdings and Cornell Belcher of Brilliant Corners Research & Strategies. WASHINGTON, D.C. (Sept. 23, 2017) -- For the first time in its 42-year history, the National Association of Black Journalists (NABJ) has entered into a programming collaboration with the Congressional Black Caucus Foundation (CBCF) and the positive response has been noteworthy. 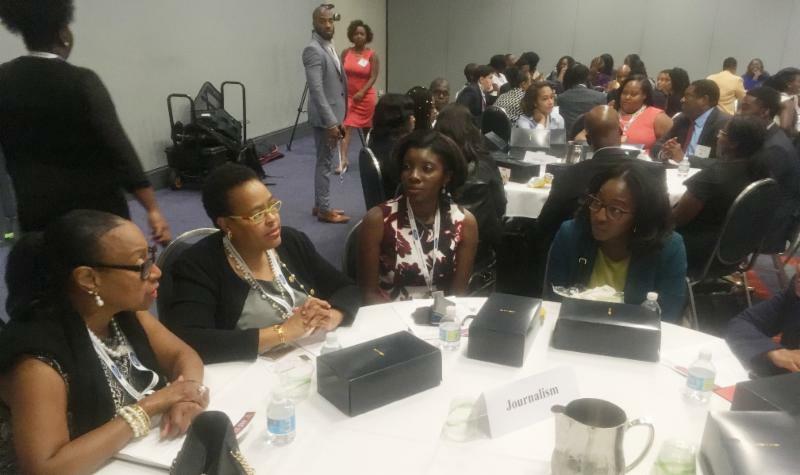 The NABJ's presence at the CBCF's 47th Annual Legislative Conference (ALC) at the Walter E. Washington Convention Center in Washington, D.C. this week was impactful and opened the door for future conversations not only with CBCF, but other organizations interested in building the media and communications components of their organizations. The CBCF Convention theme was "And Still I Rise" and spoke to the legacy of the resilience of black people across the Diaspora. In more than one session, it was noted that there's an assault on journalists and the industry, so NABJ's presence was of particular note. In addition to NABJ members like NABJ Journalist of the Year April Ryan -- the co-emcee of the Phoenix Awards Gala, former two-time board member Roland Martin of TV One moderating several discussions and immediate past Vice-President Digital Benet Wilson participating in a mentor project; several other members were involved in everything from planning to attending this year's conference, including NABJ officers - Secretary Cheryl Smith and Student Representative Kyra Azore, Interim Executive Director Shirley Carswell, former board member Dr. Shelia Brooks and long-time photographer Jason Miccolo Johnson. Glover met with Armstrong Williams to discuss NABJ collaboration with his TV stations at CBCF's ALC. It was, however, NABJ's participation in the ALC's signature event, the General Session Luncheon, "The 5 W's Are Still About Storytelling," which was co-moderated by NABJ President Sarah Glover and Jason Johnson of The Root, that was a highlight for attendees. This panel, that included NABJ member Karen Carter Richards of the Houston Forward Times, had a strong lineup of voices across media --Panama Jackson of Very Smart Brothas, Armstrong Williams of Howard Stirk Holdings, Carlton Houston of WUSA, Francesca Chambers of DailyMail.com, and Cornell Belcher of Brilliant Corners Research & Strategies. The panel, which was sponsored by the National Association of Broadcasters, explored how diverse voices impact civic engagement and how African-Americans play a role in reporting major news stories and community journalism across media platforms. Images from the NABJ Visual Task Force Photo Auction played on the screen at the session. NABJ contributed to the NAB's Awareness in Reporting Project; find resources on reporting on race here. "We were very pleased to participate in a substantive way at this year's conference," said President Glover. "After visiting with many of the CBCF attendees, it was clear that NABJ's presence on the programming side is needed and appreciated." Citing comments from Foundation Chair, Congresswoman Shelia Jackson Lee (D-TX) who praised black journalists, the Black Press, NABJ and its Journalist of the Year, White House Correspondent April Ryan; Glover said she's looking forward to NABJ's continued involvement. "It's the responsibility of journalists to not be pigeon-holed," said Rep Lee, as she thanked the NABJ and journalists for attending. "I beg that our stories are told and it's powerful to tell the truth." Dr. Jason Johnson and Danielle Belton of The Root with NABJ President Sarah Glover and Secretary Cheryl Smith. ecially rewarding to meet former and present members who gathered for the four-day conference. Emphasizing efforts to form a more solid union with the National Newspaper Publishers Association (NNPA), Glover who is serving her second term as president of NABJ says it is impressive that the organization represents more than 200 black newspapers across the country; employing hundreds of journalists and serving millions of readers. "The celebration of 190 years of the Black Press at the NNPA reception was especially awesome," she said. "Sometimes we are so busy doing the work we don't stop to think about the impact our work is having. It is outstanding to be in the company of those who appreciate NABJ's work and want to see us be a success. Likewise, NABJ wants to remain true to its mission by never forgetting the communities we serve." President Glover also served as a panelist on a session, the State of Black Tourism, which was moderated by Martin. Topics during the hearty discussion ranged from the importance of collaborating, building relationships and making sound business decisions when choosing a convention site. Glover and Martin shared insights into NABJ's organizational structure. 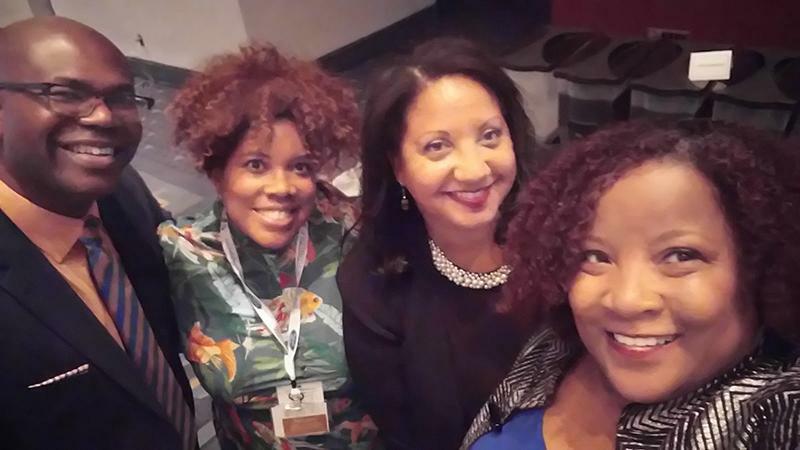 NABJ's participation was timely as Glover relayed how NABJ has made significant changes to how it does business in the last two years to better position itself for strong, revenue-generating conventions moving forward each year. Benet Wilson provides career advice to emerging leaders. Wilson's mentoring session targeted millennials. She encouraged the young professionals to explore all aspects of media and said that if one is not making headway in traditional newsrooms due to the unconscious bias and other barriers they should consider becoming an entrepreneur or freelancer and leverage organizations that offer training like NABJ. 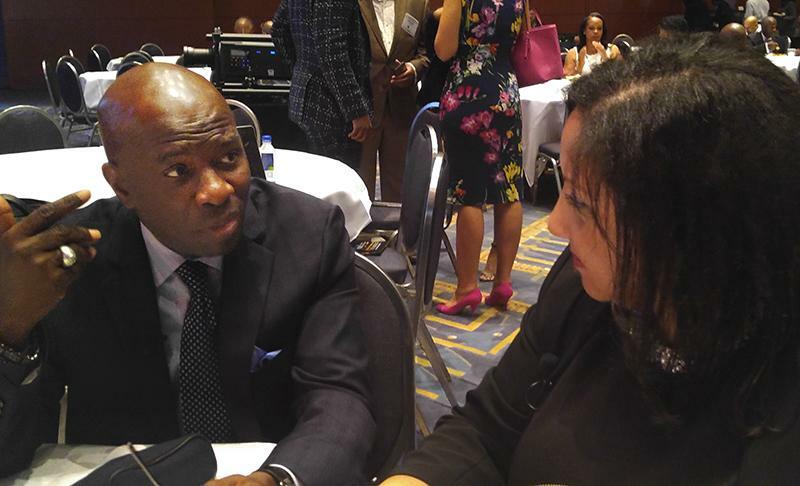 The ALC was a great opportunity for NABJ to discuss collaborations with the likes of Armstrong Williams, owner of eight local television stations, and for NABJ to talk about its programs such as the VTF Photo Auction and the Black Male Media Project. Mark your calendars as the next NABJ Visual Task Force Photo Auction takes place Aug. 4, 2018 at Detroit Marriott at Renaissance Center. The Black Male Media Project is accepting images from NABJ members for its photo and video project. Please email your jpg files by Oct. 15 to inspireblackmen@gmail.com.